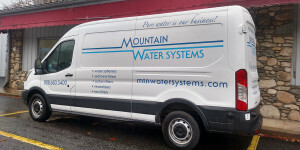 New customer in Asheville wanted a better tasting water with the city water she has. Called the store and asked Geneva (office manager) about a possible filtration solution. We told her that a carbon filter that we sell (Made here in the USA ) removes the chlorine, the bad taste and any odors associated with city water. After the install they were amazed at the change in their water !